A series of ancient hominid fossilised bones have been at the centre of an intensive research programme as scientists attempt to piece together a better understanding of the evolution of hominids and ultimately the rise of our own species H. sapiens. Several academic papers have been produced that suggest that the Australopithecine known as Australopithecus sediba had a combination of early human traits and those anatomical characteristics more closely associated with other apes such as chimpanzees. One of the 1.95 million year old fossils, believed to represent a young male, was nick-named “Karabo” after a competition amongst South African school children to find an appropriate moniker for this important South African fossil discovery. A seventeen year old student was declared the winner with the “Karabo” name, which means “answer” in the local dialect of the region where the fossils were found. It seems that this specimen and that of a female in conjunction with studies of a single leg bone (tibia) found at the same collapsed cave site are going to help palaeoanthropologists come up with “answers” as to how closely A. sediba is to the line on the hominid family tree that ultimately led to us. The fossils were found at Malapa, part of the famous Cradle of Humankind World Heritage Site, which lies just to the north-west of the city of Johannesburg. The fossils were found back in 2008. Since then they have been the subject of intense scientific study, with much of the work being carried out by researchers based at the University of Witwatersrand, which has built up a substantial reputation for research into early hominid fossils. The fossils were discovered by a University of Witwatersrand field team as they explored the fissures and pits left in the ground after the collapse of the roof of an ancient limestone cave system. The more complete fossil specimens, a more mature female and a sub-adult male may have died together and it has been speculated that they were mother and son. They could have stumbled into the pit by accident or become trapped in some other way. 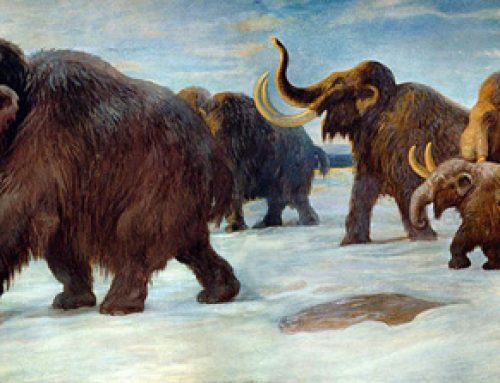 When they died their bodies were washed into a pool and became deposited amongst a large amount of other animal remains including Sabre-Toothed Cats, antelope, hyenas and even birds. The research teams have produced six separate reports, with each report focusing on a specific area of anatomical research. This new analysis, summarised in the journal “Science” suggests that A. sediba had a human-like pelvis, very human-like hands and teeth but a foot much more like an extant chimpanzee. The fossilised skeletal material (juvenile male = MH1), adult female (MH2) and the isolated tibia bone (MH4) was studied so that palaeoanthropologists could establish where in the Australopithecines (southern apes), A. sediba should be placed and in addition, whether or not this particular hominid played a direct role in the evolution of more advanced hominids such as Homo et al or whether this was effectively a sub-branch that led to an evolutionary dead end. Scientists from Boston University (United States) examined the leg and pelvic bones and assessed A sediba’s locomotion. This team concluded that this South African species walked in a unique way. The small heel of the foot, more chimpanzee-like than human, suggests that Australopithecus sediba walked with an inward rotation of the knee and hip, upright walking but not an efficient form of locomotion. A. sediba is in the middle, the human to the left of the picture with the chimp skeleton on the right. This primitive way of walking might represent a transitional phase from tree climbing limb development to lower limbs more suited to a bipedal form of movement. Other anatomical features such as the long, strong arms suggest that this species of Australopithecine was at home in the trees and would have been well suited to an arboreal life style but also capable of walking upright. When compared to other Australopithecine fossils from southern and eastern Africa it seems that some of these ape-men lived in trees, some walked on the ground and some did both. A team of researchers based at Liverpool John Moores University (Liverpool, England), led by Joel Irish has been studying the dentition (teeth) of this hominid. Just like other parts of the skeleton, the teeth show both human and ape-like characteristics. The teeth are similar to another South African Australopithecine, known as A. africanus. It has been proposed that these two species form a sub-group of southern Australopithecines, distinct from other early hominids that have been found in East Africa. Such is the state of preservation of the specimens that Professor Lee Berger (University of Witwatersrand) has been investigating a thin layer of potential organic material found in association with the specimens. It has been suggested that this represents fossilised skin from these ancient creatures. Other scientists examined the shape of the ribcage and suggested that the thorax of these creatures was very similar to large simians today. The proposed shape of the rib cage probably limited these animal’s arm movement when walking or running upright and this would have further hampered their ability to move efficiently as bipeds.